Pemyn Courier Services - Based in Rochdale we are ideally positioned for Manchester, West Yorkshire and East Lancashire. Making collections possible within the hour undertaken by reliable professional drivers ensuring your items, documents to pallets all arrive safely and on time. We also offer our same day service nationwide. Whether it's a collection in Plymouth delivering to York or a collection in Edinburgh going to London. All securely accomplished by having access to a national network of trusted couriers. We use small vans for documents or a single pallet up to to curtainsiders, which have a six pallet capacity. Your work is only ever complete when it’s delivered, so we know you want a reliable courier to be there for you. 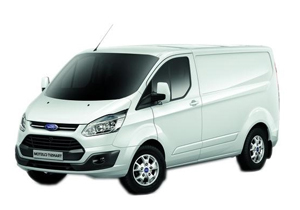 We are awaiting your call, coordinating our fleet of vehicles to give you a fast and reliable same day delivery service. ﻿Pemyn Courier Services offer a UK wide light freight collection and delivery service which is available 7 days a week, 365 days a year. We are proud to offer a first class service which exceeds the needs of a large, varied and constantly increasing customer base. Pemyn Courier Services offer a rapid response service covering all your demands and timescales. 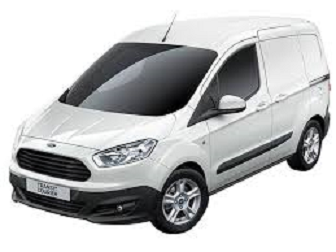 Utilising modern small vans through to long wheel based vans accommodating four pallets. Pemyn Courier Services offers you the most secure method of transporting hazardous goods, achieved by utilising a network of trusted service partners. 1 Whether an occasional user or dependent upon your courier as an integral part of your business Pemyn Courier Services provides a reliable, cost effective, high quality courier service. We are extremely customer focused providing the highest levels of flexibility and back up. Our customers know that we value their business highly and don’t just take it for granted. 2 Whether you need us once a month, once a week or several times a day for regular contract deliveries. All you need is an account with us and we’ll be there for you. We’re happy to work on an ad hoc basis too, on a pay as you go arrangement – there’s no need to open an account. Just call us during office hours to arrange deliveries and collections any time. 3 Pemyn Courier Services can provide collections and deliveries countrywide just call us with the collection and delivery details and we will do the rest. We can offer a wide variety of delivery times to suit your requirements from first thing in the morning to last thing at night.